Dentists do their part in helping you to have healthy teeth and gums but you have to do your part at home as well. The foods we eat play a role in whether our teeth are healthy or not according to Parkdale dental practice. You are probably well aware that foods that are full of sugar are bad for your teeth but are you aware that there are foods that are healthy for your teeth? Impress your dentist upon your next visit with your knowledge of healthy nutritional choices for your teeth. 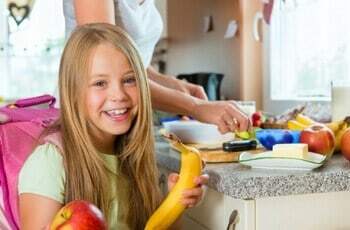 Let’s take a look at some healthy foods for the teeth. Are There Oral Health Benefits From Food? For years, nutritionists and doctors have been praising the health benefits that we can reap from eating just a few ounces of yogurt regularly, but now it’s dentists who are encouraging patients to begin eating yogurt. This is because yoghurt is high in calcium which helps to keep your teeth strong. Calcium works by maintaining the density of your skeletal bones through years of deposit while your body is growing the most. For this reason, children especially benefit from the calcium found in yogurt. Once permanent teeth appear, calcium continues to help prevent tooth decay by keeping enamel strong. Citrus fruit and especially the bitter ones such as the grapefruits and the lemons are rich in Vitamin C. One of its many medicinal properties is that it reduces the bleeding of the gums and can actually protect them more effectively. These types of fruit are also packed with plenty of other vitamins, minerals and antioxidants so you can have them every day. Apples are not only good for your teeth, but they also act as a breath freshener. The natural fibers present in the skin and the flesh of the apple helps to scrub your tongue and gums, and help to remove much of the plaque that is responsible for bad breath. Also, they have an astringent quality that helps to get rid of plaque (Granny Smith apples work best). Eating apples also helps to remove stain on your teeth from coffee and other staining drinks. At Parkdale Family Dental we strive to make your dental care as easy as possible for you with sleep dentistry options available. Our Parkdale dentist team utilizes sophisticated equipment and the best dental techniques to ensure your visits go smoothly to get the results you want at the pace of your choosing. Call us on (03) 9070 3509 or visit our website: https://parkdalefamilydental.com.au/ for details.